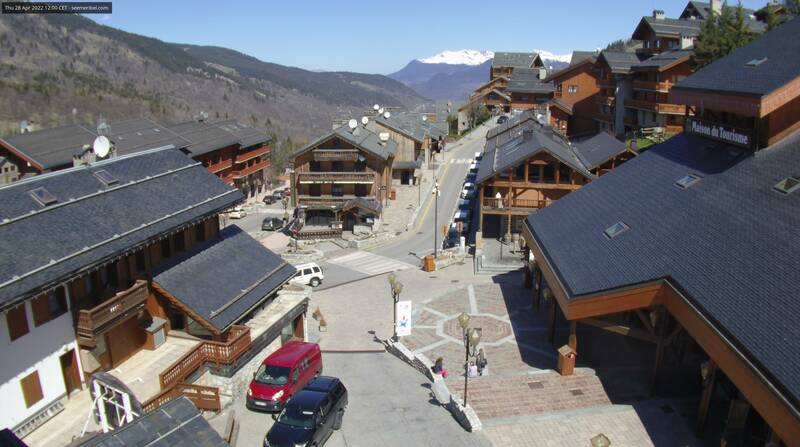 See it all with this amazing panoramic webcam view of the Meribel Valley from the top of Tougnette. The high altitude of this camera means that it can become obstructed by snow and cloud some of the time. If this is the case then please do check back later, as the view is superb. A superb view from Hotel Le Doron overlooking the square in the very centre of Meribel. To the right hand side is the Tourist Office and the main Post Office. Often in the late afternoons live bands or street entertainers can be seen in the square in front.